As a new parent, sifting through all of the various research and opinions on childhood immunizations is daunting and confusing at best. Vaccines have been making headline news during the past year, mostly due to their possible risks, and parents should equip themselves with information on both the potential dangers of vaccines, as well as the benefits of vaccines before stepping foot in their pediatrician’s office. Today, more and more U.S. parents are becoming vaccine skeptics and not meeting school immunization requirements. According to one study, 1 in 10 parents ignores the CDC’s recommended vaccine schedule. Consequently, many pediatricians are refusing to treat children if their parents won’t vaccinate them on schedule. Wherever you stand on vaccines — whether you give your baby his immunizations on schedule, use an alternative or delayed schedule for vaccinating your child, or don’t vaccinate at all, this hot topic is one that parents should learn as much as possible about to make the best decisions for their children and family. So be sure to read our primers on the benefits and risks of vaccines. As a new parent, sifting through all of the various research and opinions on childhood immunizations is daunting and confusing at best. 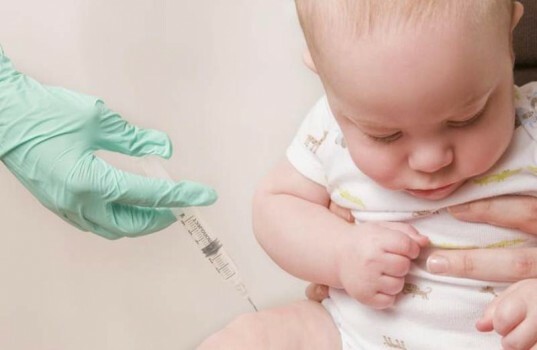 Vaccines have been making headline news during the past year, mostly due to their possible risks, and parents should equip themselves with information on both the potential dangers of vaccines, as well as the benefits of vaccines before stepping foot in their pediatrician's office. Today, more and more U.S. parents are becoming vaccine skeptics and not meeting school immunization requirements. According to one study, 1 in 10 parents ignores the CDC's recommended vaccine schedule. Consequently, many pediatricians are refusing to treat children if their parents won't vaccinate them on schedule. Wherever you stand on vaccines -- whether you give your baby his immunizations on schedule, use an alternative or delayed schedule for vaccinating your child, or don't vaccinate at all, this hot topic is one that parents should learn as much as possible about to make the best decisions for their children and family. So be sure to read our primers on the benefits and risks of vaccines.